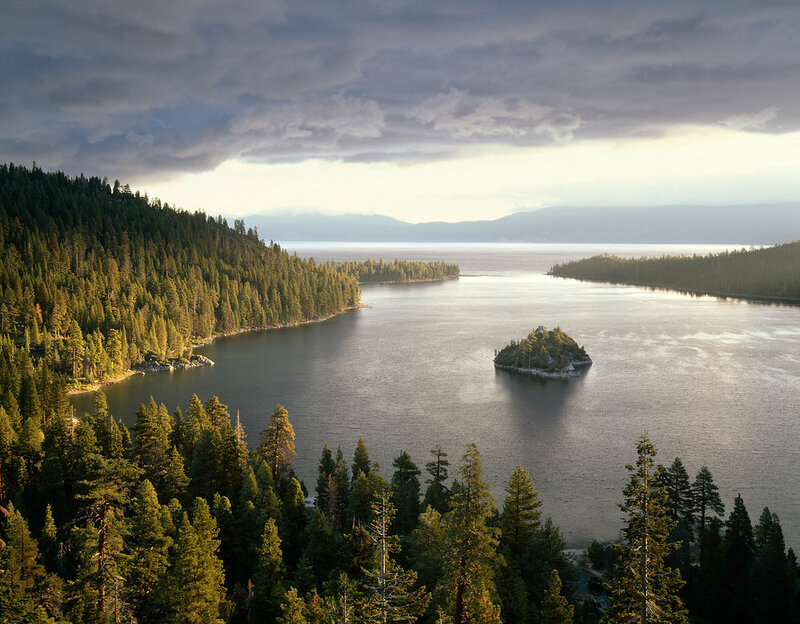 Storm Light, Emerald Bay, Lake Tahoe by large format landscape photographer Jon Paul. Another beautiful morning at Emerald Bay. Lake Tahoe is capable of showing many moods, and storms bring out the best in her. The darkness of these rain clouds is softened by the warm sunrise light glowing on the pine forest that surrounds the bay. What away to start the day.